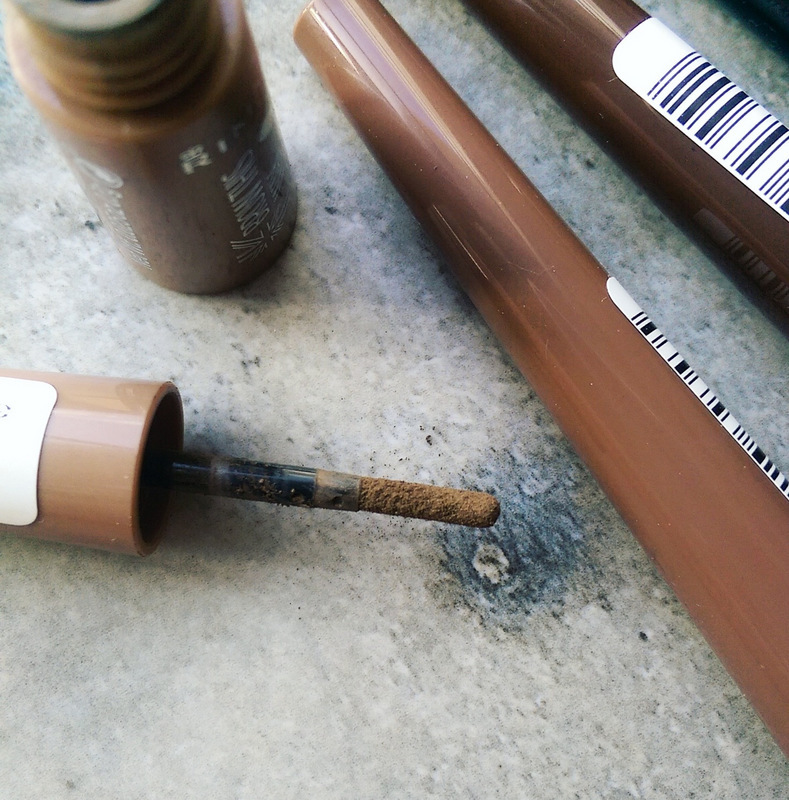 Rimmel Brow This Way Brow Shake filling powder (R99,95) has just hit the shelves and I love, love, love it! The applicator’s a little weird, kind of like a slim, furry spider leg, but it works like a bomb to transfer the brow powder (which I’ve found to be very long-wearing) in a way that’s super precise. 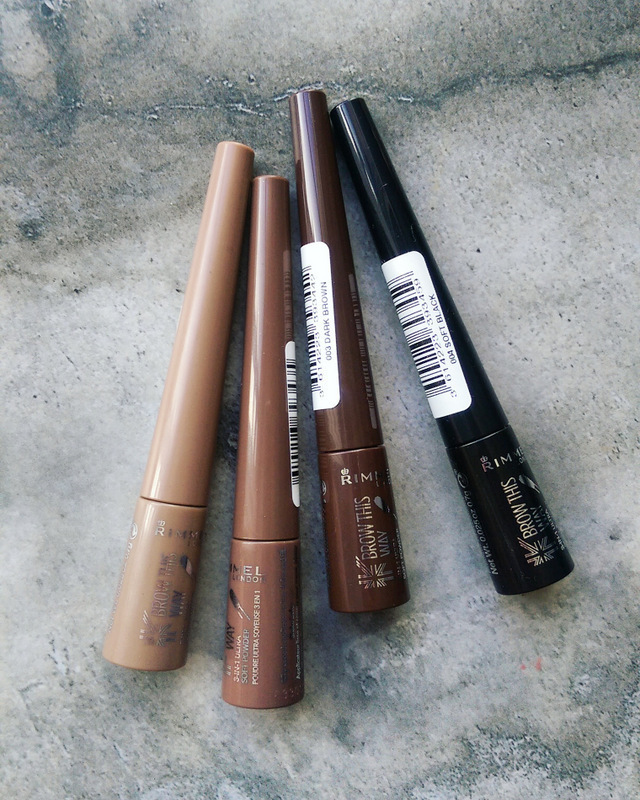 From left to right you’re looking at Light Brown, Medium Brown, Dark Brown and Soft Black. There is a trick to using it though! Be sure to tap off the excess before you touch your brows and use a very light pressure. The powder’s pretty pigmented so if you’re heavy handed it won’t look natural. Then, once you’re down, use a spooly brush to soften things up a little. Now, with a little practise having made perfect, I find it so quick and easy to use that I’ll definitely be buying another one of these guys. I also like that the powder itself is very long-lasting. This is 001 Light Brown. My only ‘ish’ is that the very lightest shade, 001 Light Brown, is pretty dark. This suits me as I quite like a dramatic brow on days when I’m wearing full make-up but if I wanted to look ultra natural on a very casual day I’d want something lighter. Also, blondes that have brows even lighter than mine may find it’s not a good match. Here’s hoping they bring out a lighter shade so very fair peeps can enjoy it too. It’s such a goodie! Also, for the record, when I look at Foschini’s site, I see they’re selling a shade called 001 Blonde and this might be another shade or is the one I’m using that’s been mislabeled. Nice one Rimmel! This newbie’s a gem! Oh yes, I can comment again! Wanted to ask about the Soft Black. Is it suitable for black eyebrows, or is it too black? The dark brown looks a bit too reddish brown. I think Soft Black would work well on you but rather try it on in-store before you buy to be safe. Hi. What’s the difference between the Brow this Way and the Shake Powder. Hi Sana! Apologies, I don’t understand your question. The name of this particular product is Brow This Way Brow Shake filling powder. All the brow products in Rimmel’s line up have ‘Brow This Way’ attached to their names (it’s the name of the line) so which other product do you want me to compare the shake filling powder to?